WERE, pronounced ‘weh-reh’ in Shona, comes from the word ‘mawere’, meaning ascending – a mountain or in life. They’re an explosive 5-piece Zimbabwean band from Harare and after being crowned the international lmagine winner in 2013 they are now set to reach the top! WERE plays an intoxicating mix, a tribal fusion that blends different African music styles with a heavy focus on creating very danceable rhythms. 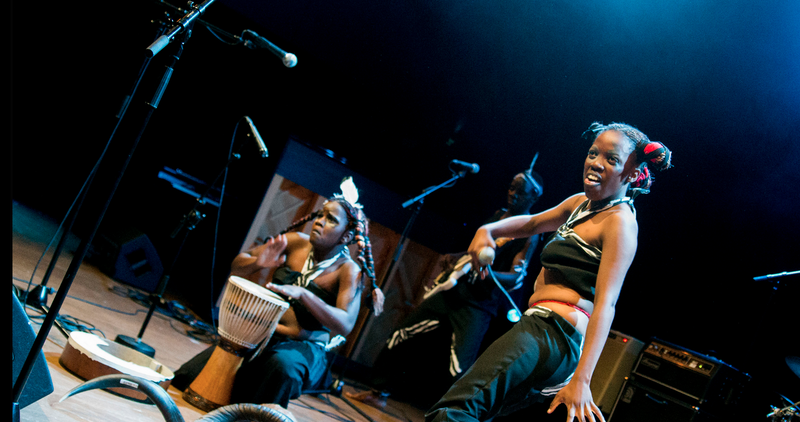 They blend modern and traditional instruments, using the mbira, marimba, kudu horn with tearing vocals from their powerful two front ladies Lindiwe and Marcia, to create an energetic stage performance. WERE is comprised of three young male musicians, who started playing together in 2011 at a church in their hometown of Chitungwiza (Harare), home to a large number of leading Zimbabwean musicians. They met the Lindiwe and Marcia in 2013, who were students at the Music Crossroads Academy, and WERE was formed. 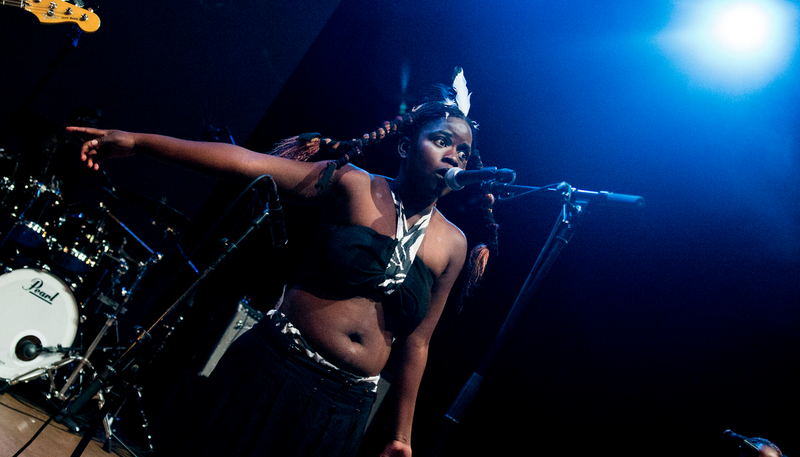 These Zimbabwean dynamos use the mbira as a base for composing all of their songs. 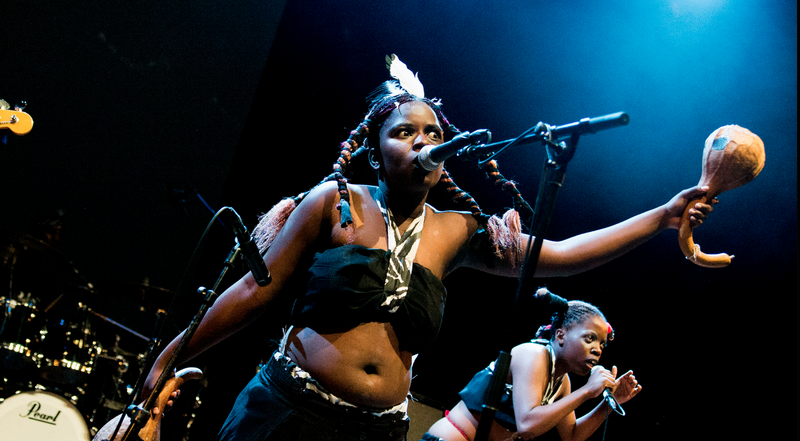 Both Lindiwe and Marcia incorporate a variety of percussion instruments such as the congas, kudu horn and ‘hosho’ into their intense performances that are deeply rooted into the traditions of Zimbabwe. Were specializes in several traditional dances and well as urban styles common to Harare. When the 5 take to the stage you won’t be able to sit still for a minute, for sure they won’t!